Hey folks if you haven't, please read Update #5 before reading this one. You've read Update #5, great...let's proceed. While we do love our newly released MAKERbuino forum, there are times where a more direct conversation is more suitable. 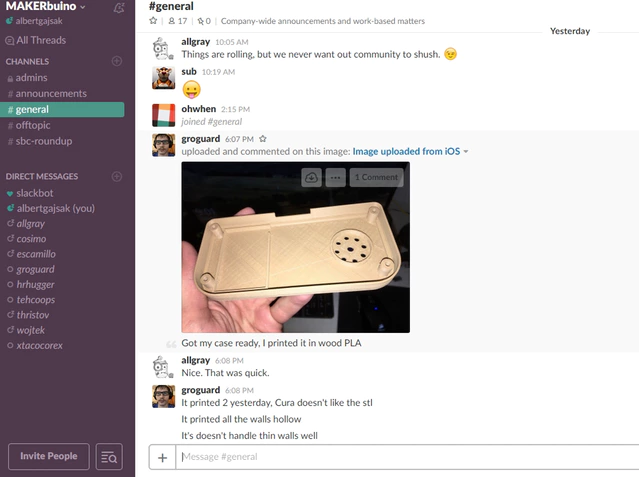 For that we've created a Slack channel dedicated to MAKERbuino users. At the channel you can talk with our community manager Mathias, our PR and Sales manager Domagoj, other MAKERbuino users and me about all sorts of things. New MAKERbuino chat room is here!